This may not be an original idea, but it keeps me from getting lonely when flying alone. 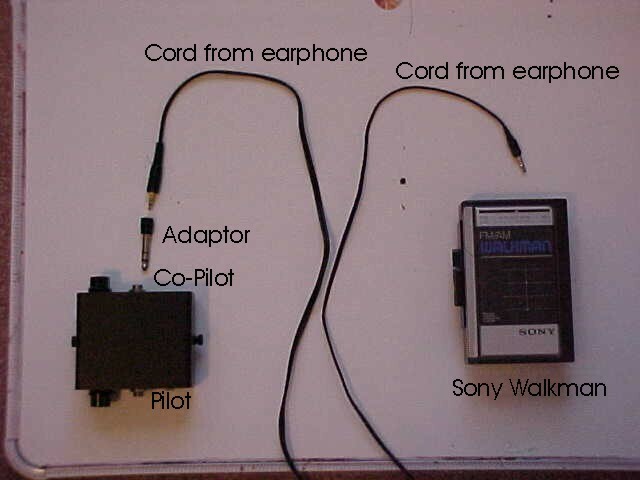 I used my Sony Walkman to integrate music through my comtronics communication system. I took two sets of old headphones that no longer worked and cut off the ear muff ends. I connected the two wires together so the plug was on each end. I bought an adapter at Radio Shack for a couple dollars to plug into the co-pilot outlet. Plug all this together and the music comes in loud and clear through my helmet. I play cassette tapes and the radio has excellent reception while still being able to hear the hum of the engine.